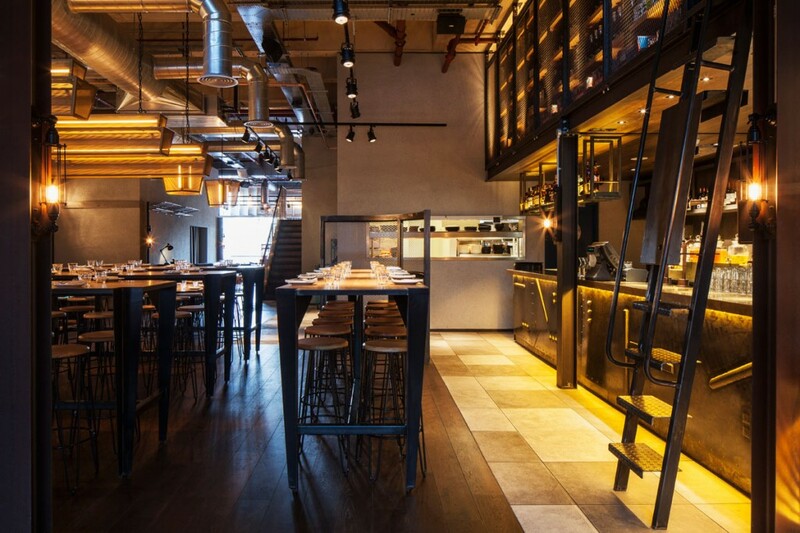 Chai Ki is the new sophisticated Dining Room and Toddy Shop Bar (inspired by “coastal drinking dens”) from Rohit Chugh, the owner of Roti Chai Indian Street Kitchen in West London. 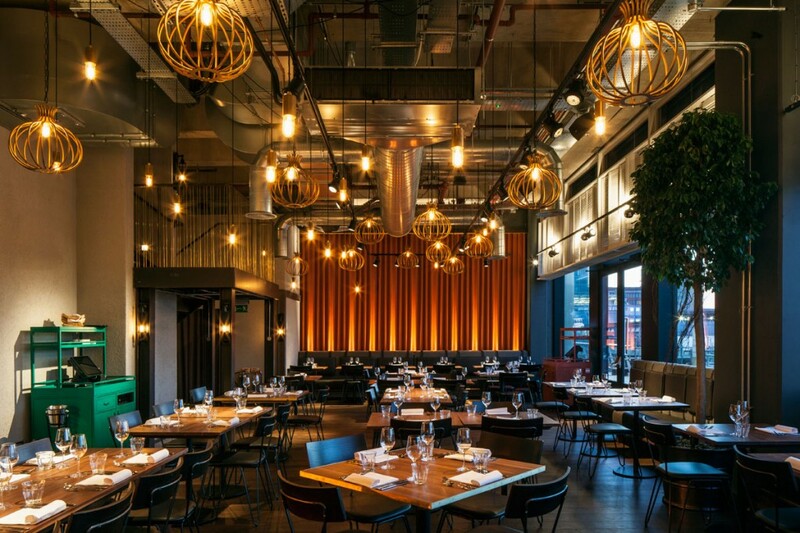 into lighting were assigned as lighting design consultants to work alongside designLSM and briefed to create an elegant and inviting ambience for this new split venue. 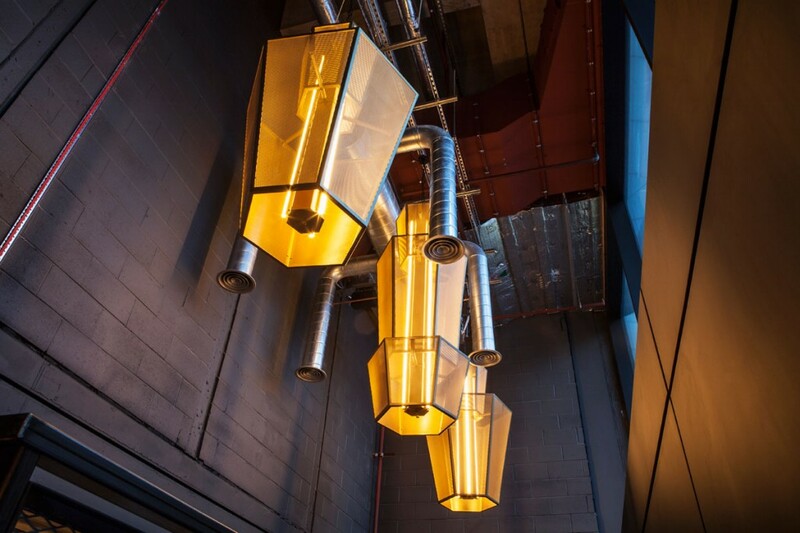 The inclusion of large bespoke feature pendants in the front section of the restaurant adds an element of drama on entrance. 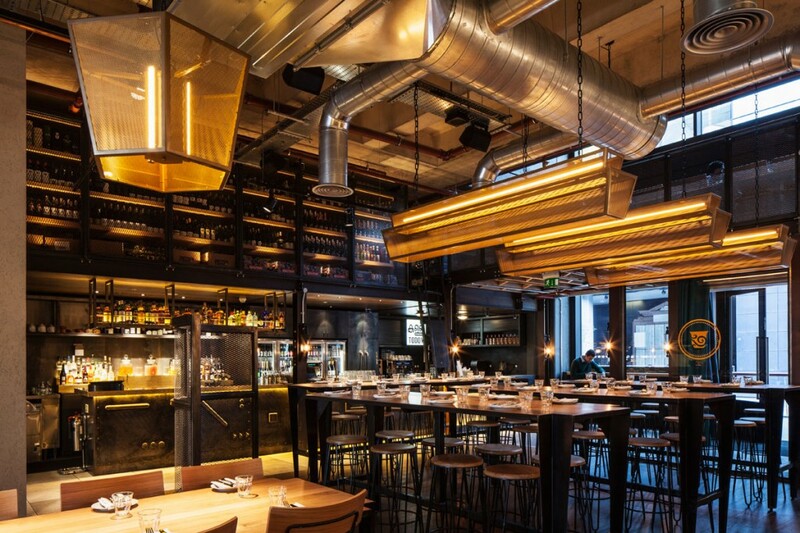 In order to create the warmth required golden steel mesh was used as the main material for their construction, with an opal diffuser within and 2200k LED light sources. 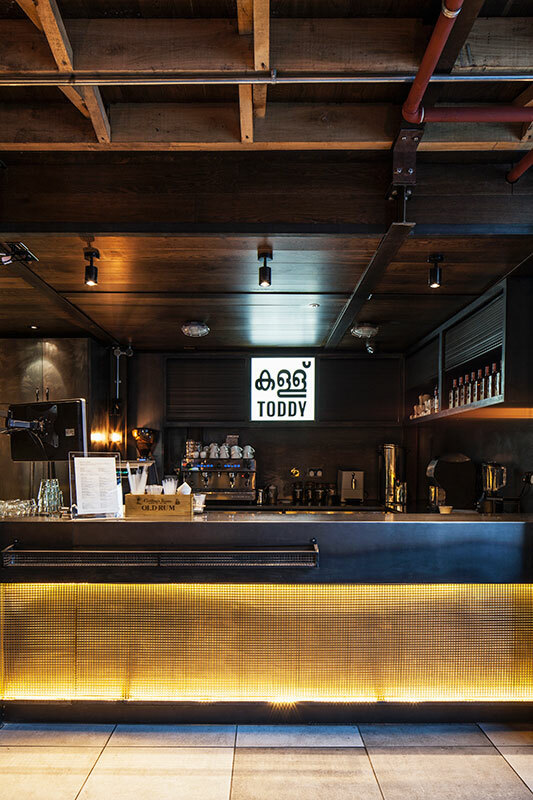 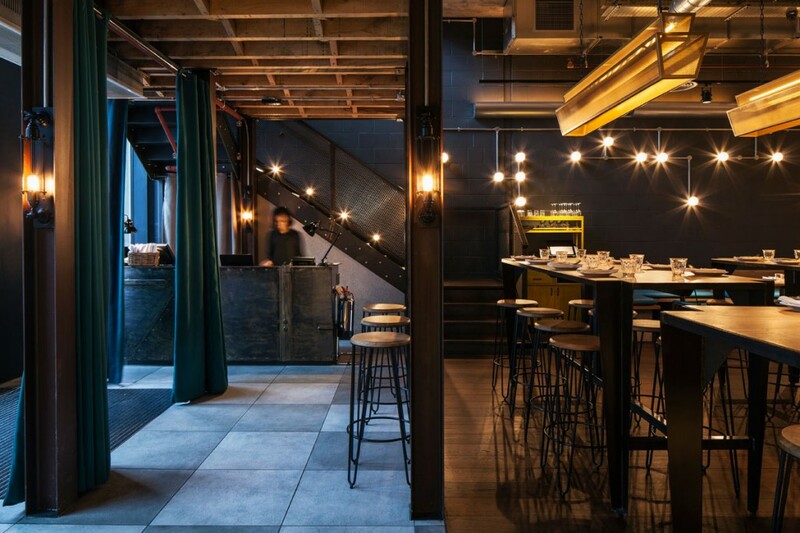 This design creates an inviting glow which is tied together with many bespoke linear lighting details to shelving and bar nosing in the Toddy Shop Bar to the right. 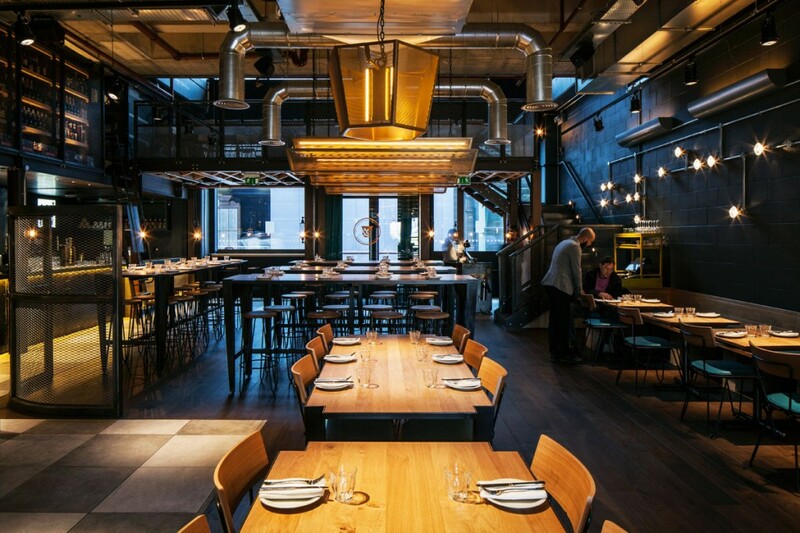 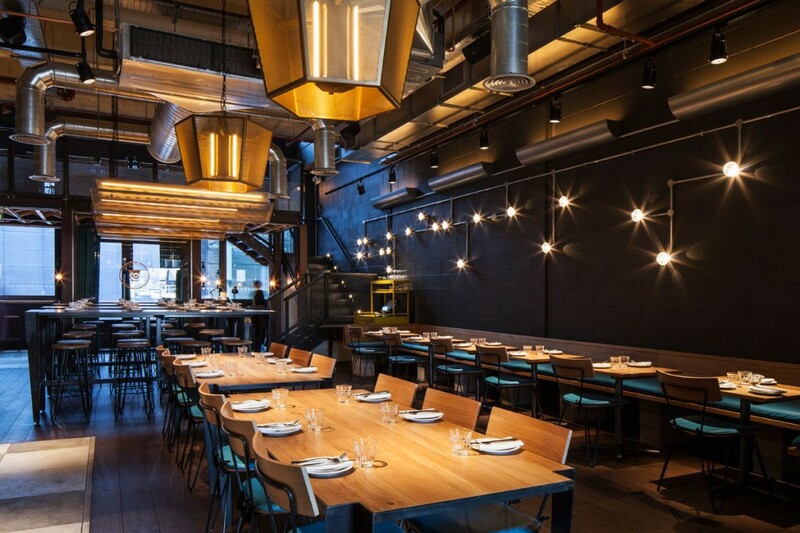 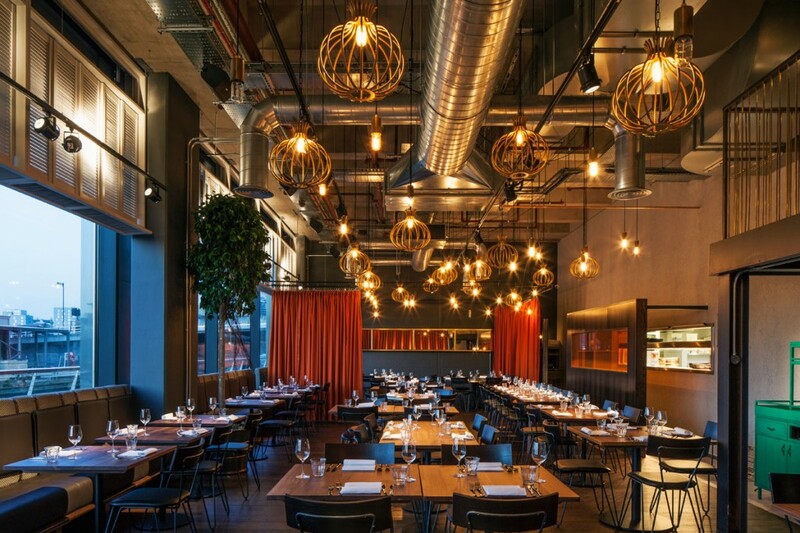 At the rear of the restaurant a myriad of hung caged pendants and filament lamps make a feature of the ceiling and warm uplighting to deep orange curtains draws a sense of intimacy to the large area with open views of the Thames. 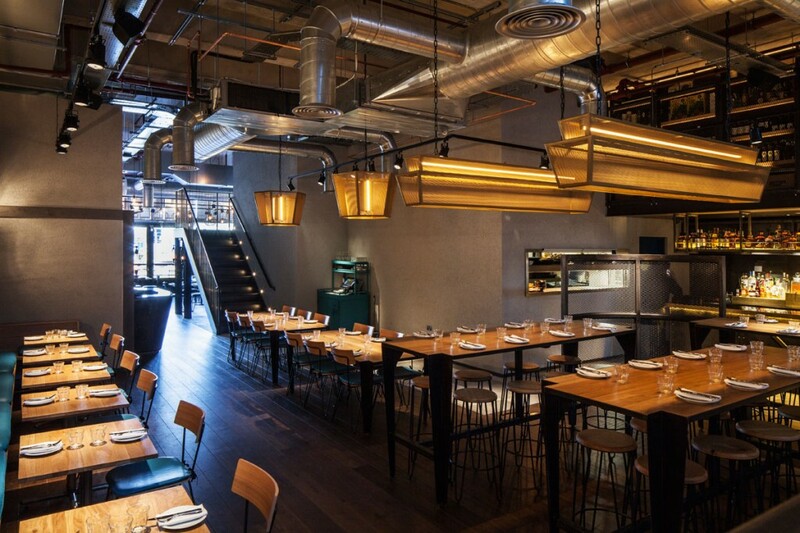 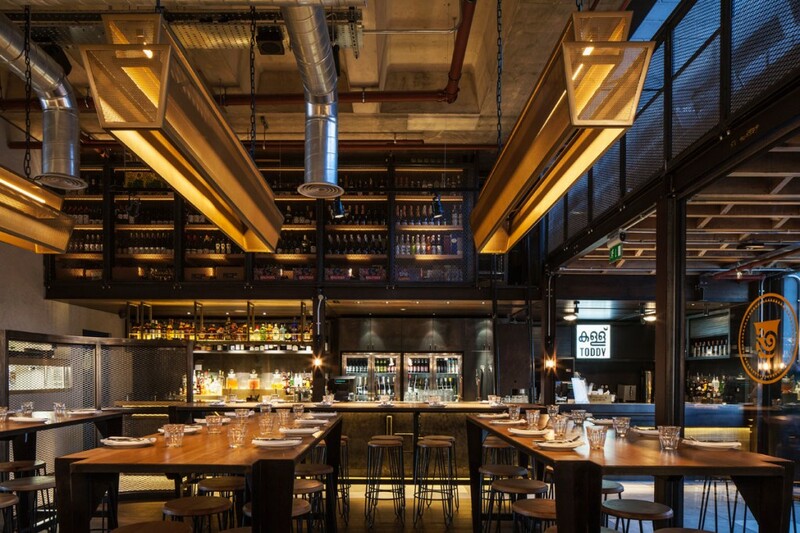 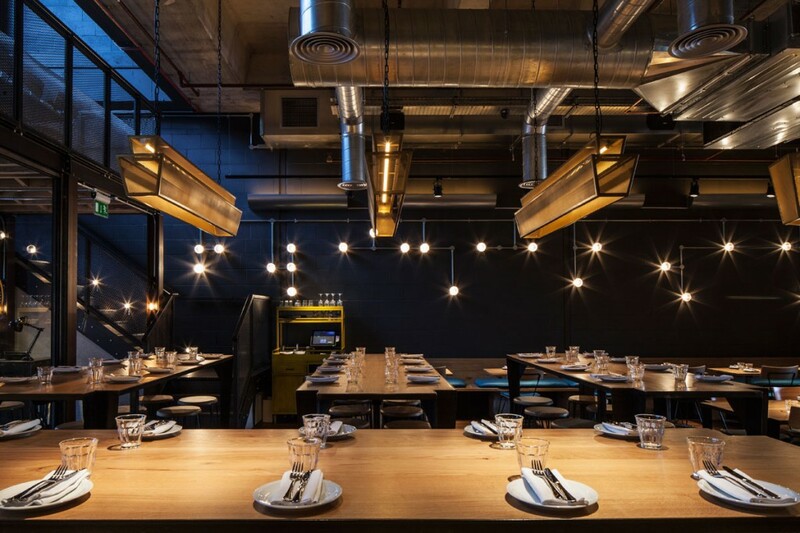 A combination of bespoke pendants and lighting details at the entrance and Toddy Shop Bar invite the customer into an intimate space, while careful uplighting to the perimeter combined with a display of caged and non-caged filament lamps covering the ceiling, creates a wholly different but equally inviting rear Dining Room.